Rx Count: less than 20 sec. Full Bottle Inventory Count: less than 10 sec. A perfect balance of speed, precision, and price! 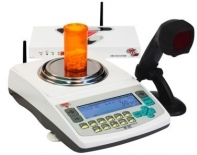 DRX-500s Pill Counters Ship FREE! Torbal DRX Pharmacy scales are used by the largest pharmacy chains in the US. Make sure you pharmacy has one as well! Designed for basic pill counting. 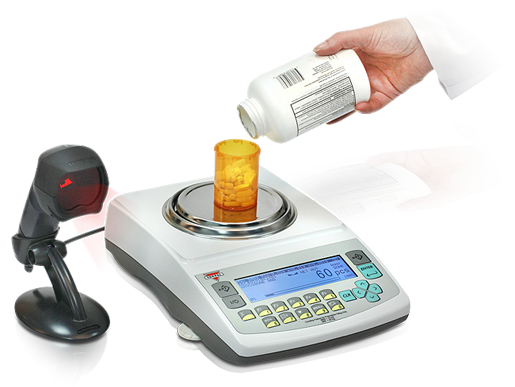 Counting on the DRX-500s Pill Counter is performed in three ease steps. A typical prescription is counted in less than 20 seconds. Cross contamination is avoided by filling pills directly into the vial. DRX pill counters are equipped with NDC validation which assures operators that counted prescriptions are filled for intended patients. Before the count is started the features compares stock bottle NDC to the prescription label barcodes. This patent pending technology is available only on TORBAL pill counters. APA is an advance pill counting algorithm which delivers one of the most accurate counting results available one the market. PFD detects pill fragments or broken pills. The feature sounds an alarm, alerting the operator that a possible pill fragment may have been placed into patients vial. 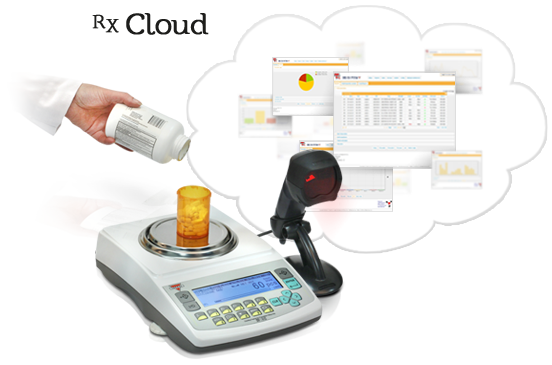 TORBAL CLOUD and 5SX system based pill counters automatically produce and e-mail transaction reports to pharmacy administrators. Reports include pill counting details such as date, time, count, user identification, and much more. Pharmacy administrators are instantly notified via e-mail whenever a user miscount occurs. The TORBAL CLOUD system also notifies administrators of failed NDC validation transactions. 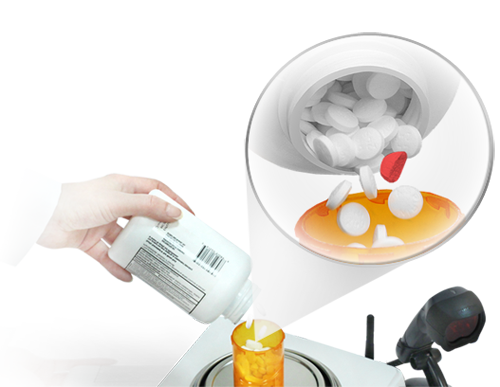 When counting on a DRX pill counter, dangerous Cross-Contamination is avoided and eliminated by filling pills directly into patient vial or a disposable weighing boat. TORBAL tablet counters do not require any cleaning or disassembly. Pills and tablets never come in direct contact with any parts of the unit, therefore cleaning is not necessary. These scales are one of the best pieces of equipment we have had in our pharmacy. They improve our accuracy in count and drug selection. Because they provide this we are able to train new techs more quickly. We are also less mentally tired from not counting pills all day, which also helps with accuracy. I believe these scales are well worth the price. 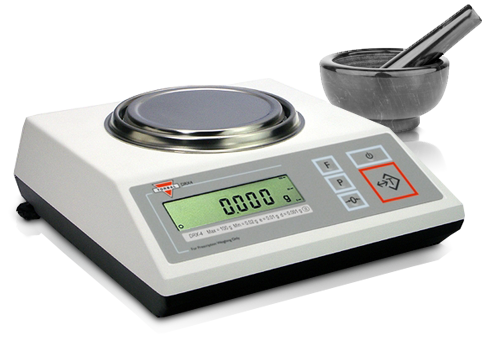 The Torbal DRX-4C Scale was very user friendly. As a matter of fact, we purchased a second one within a few months of the first purchase. The set up was easy and there was almost no maintenance at all. It has helped us to increase our efficiency and customer satisfaction by keeping up the turn-around time. 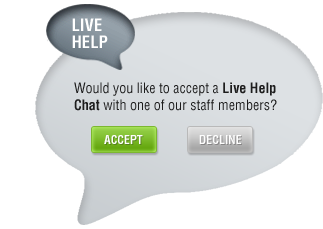 I am very happy with the product and service provided by the company. If you are looking for a digital scale, I would recommend Torbal DRX-4C scale anytime. I researched prices and functionality of many scales and the DRX-4C was the best. I have been happy with this scale. I would definitely do business with Torbal again. Ever since we purchased the DRX-4C all my techs started to enjoy filling prescriptions. It also helps with verification. We can just dump 200 or 300 pills of narcotics into the container instead of wasting time on counting with a tray. It saves lots of time during monthly and yearly inventory counts. If you don’t have one, we recommend you get one, we do more than 400 scripts per day, and since we purchased this product the work flow has become much smoother. The Torbal electronic prescription balance that we purchased is better than any manual prescription balance that we’ve ever used. 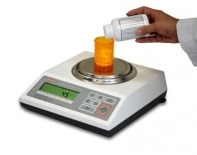 In addition to weighing our prescribed amounts of ingredient for compounding, the added value of being able to count pills with a scale makes it an incredible tool. Inventory is now completed without the need for a pill counter, and the possibility of error one might incur in the process. The scanning/barcoding feature is an excellent function that acts as a second check when only one pharmacist is working. 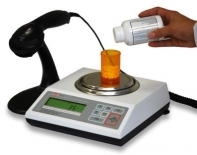 We were looking for a combination compounding scale and pill counter and the DRX300 was ideal. Customer service was knowledgeable and efficient. The scale was promptly sent and was extremely well packaged, arriving in excellent condition…We have been extremely satisfied with the product and the service provided. Why Does Pharma Want to Put Sensors in This Blockbuster Drug? 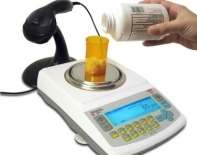 All models are NTEP - certified as prescription scales with approved pill counting features, and meet handbook 44 requirements for a "Class A" prescription balance. All TORBAL DRX pharmacy scales are available for purchase by Federal Government institutions under GSA contract terms and conditions.